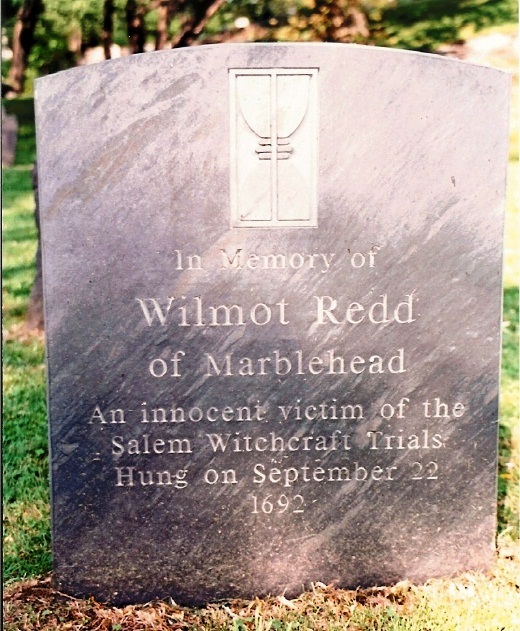 As the collective series of events that we call the Salem Witch Trials progressed, from the first accusations and arrests in the spring and summer of 1692 through the prosecutions and executions of the summer and early fall, there were a lot of bad days, but I think that September 22 was the worst day. This was the day on which eight people were hanged for witchcraft in Salem Town, the greatest number of victims executed in a day. As you can see from the inscriptions on the Salem Village Witchcraft Victims’ Memorial in Danvers below, the “Salem Witch Trials” was a regional contagion, involving people from all over Essex Country. 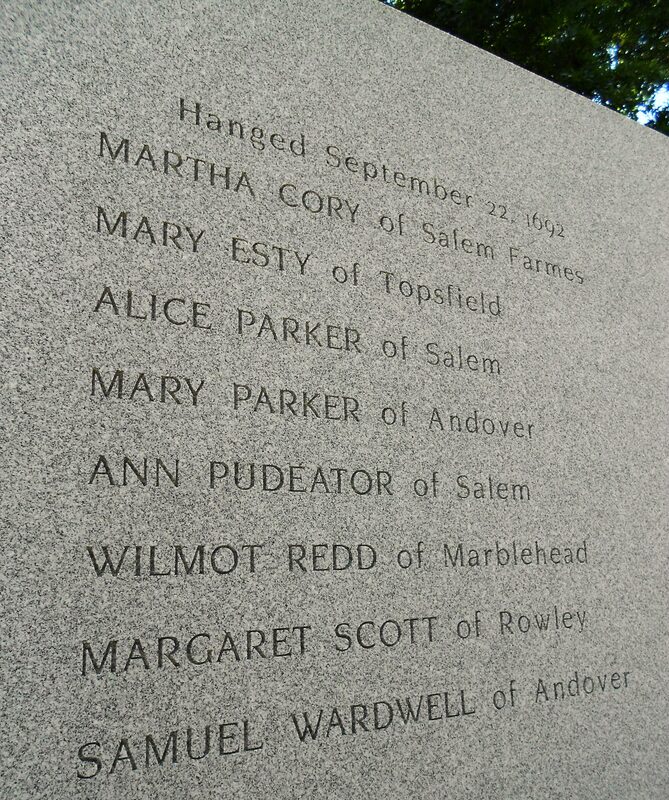 But all of these people were imprisoned, tried, and executed in Salem Town (or just over the line). What do these people have in common? They were, with the exception of Samuel Wardwell, women, primarily middle-aged or older women. Several of them were widows, conspicuously independent in an age when woman were supposed to be decidedly dependent. Poor Wardwell seems to have been accused by his envious neighbors because he married a rich widow. His Andover neighbor, Mary Ayer Parker, might have been accused through a case of mistaken identity. Everyone had problems with their neighbors, and most of them (though not all) had a history with the “afflicted” girls who accused them. Wilmot Redd of Marblehead had never met these girls before she was dragged to Ingersoll’s Tavern in Salem Village to hear their accusations. The Salem Witch Trials Tercentenary Memorial in central Salem, with its sense of enclosure and stillness, its inscribed stones and locust trees, is a compelling and fitting tribute to the victims of 1692, but I wish we also had a memorial that was near the site of the hangings; in fact, I wish I knew where the hangings actually occurred. It is a site that has been shrouded in mystery for some time, as if obscuring it and forgetting it could make it all go away. John Adams, riding into Salem in 1766 along the main route from Boston, commented in his diary on a copse of locust trees planted on the site where he thought the convicted witches were hung, and a century later the official site was recognized with the foundation of Gallows Hill Park based on the assertion of the first historian of the Witch Trials, Charles W. Upham, that the executions occurred at a point where the spectacle would be witnessed by the whole surrounding country far and near, being on the brow of the highest eminence in the vicinity of the town. A successive trail of postcards heralded the site. 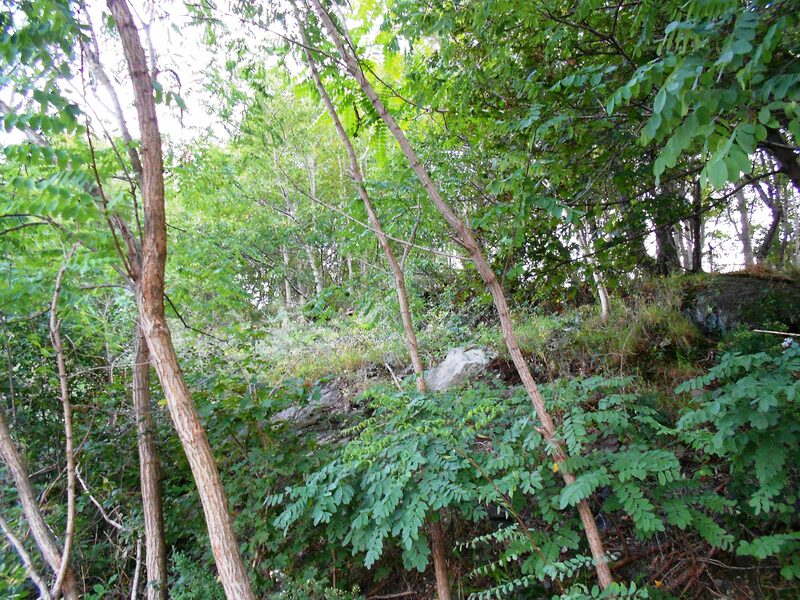 From the 1920s consensus has been building in support of another execution site, located slightly below the official “Gallows Hill”, based on the work of Sidney Perley. Perley was a lawyer and an amateur historian who utilized his extensive knowledge of deeds and probate records to create a compelling topographical history of Salem, including a series of hand-drawn detailed maps published in The Essex Antiquarian. 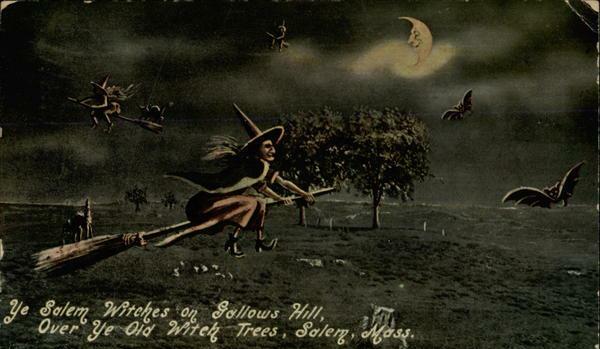 He makes a strong case for his alternative site in his three-volume History of Salem, Massachusetts (1924), which you can access at the University of Virginia’s Salem Witch Trials Documentary Archive and Transcription Project. 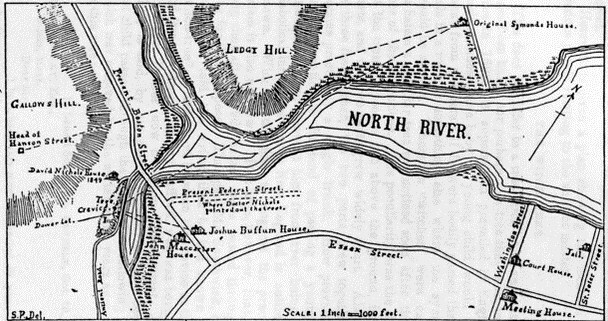 His site is still elevated, but more accessible to the existing water and land routes, and is illustrated by one of his “Salem in 1700” maps and a 1920s photograph below. And what of this site today? 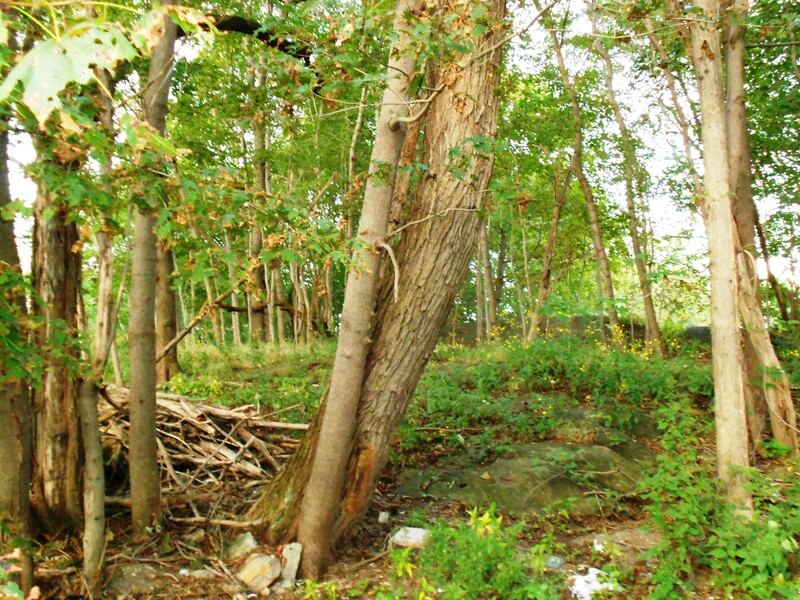 It is an unmarked, sloping, fenced-in, trash-ridden lot behind the large Walgreen’s parking lot on Boston Street. Several of the pictures below were taken, ironically, from the vantage point of Proctor and Putnam Streets (the names of a prominent victim and equally prominent accuser in 1692). The last photograph is of Gallows Hill Park a bit further up the hill, where life is clearly going on, beneath the sign of the witch. This entry was posted on Thursday, September 22nd, 2011 at 1:21 pm	and tagged with Salem witch trials and posted in History. You can follow any responses to this entry through the RSS 2.0 feed. Oh, this has sent me into deep depression. I guess so negative as people generally are fragile even if they appear strong and self righteous. Did any thing good come out of all this persecution? Julia, there were apologies and attempts at atonement on the part of the girls, but of course it was too late. I think this is very fascinating! In a post I just did, I was talking about the suffrage of women throughout history and this is defiantly one of those times. I love how much work you did for this post and the pictures look awesome. Really great! There has been a lot of work done, Cecilia—and more work to come. That’s the least we can do here in Salem. How sad that such a historical ground has no signage designating its contribution to the past,for better or worse. 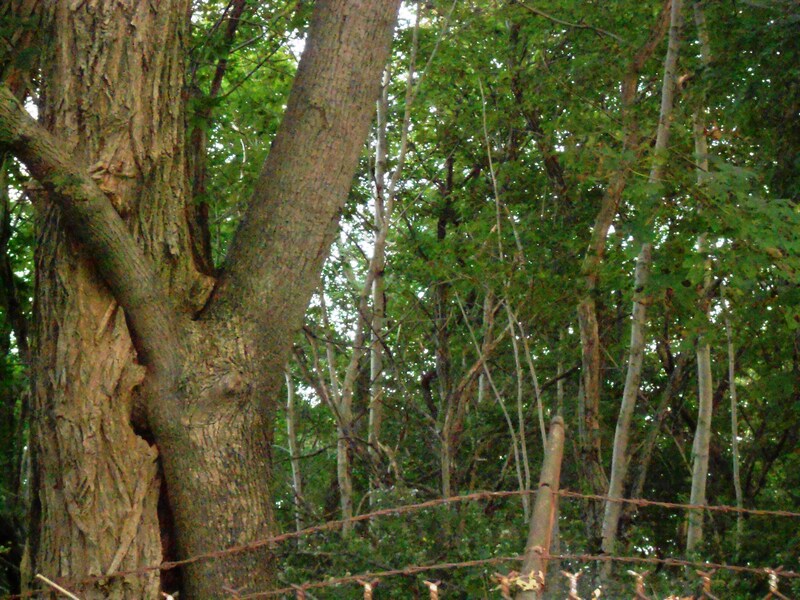 Thank you for the time you took in documenting the before and after of gallow hill. To see the outcrop of stone with the homes above and to see it in current state, are powerful images. 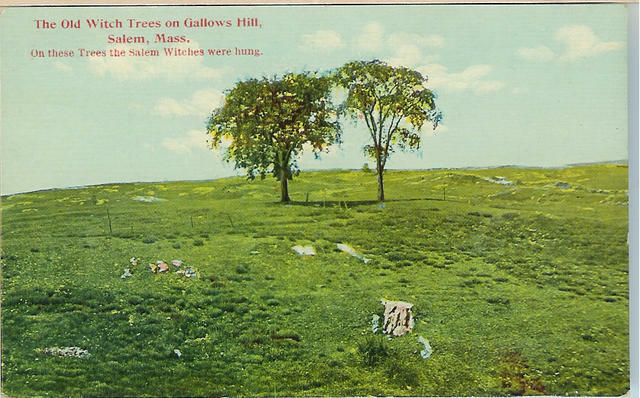 You dont hang people from trees at a place named “Gallows Hill”. Anyway, Proctors Ledge is the place. It only took up 329 years to find it. Just posted about the big discovery yesterday!